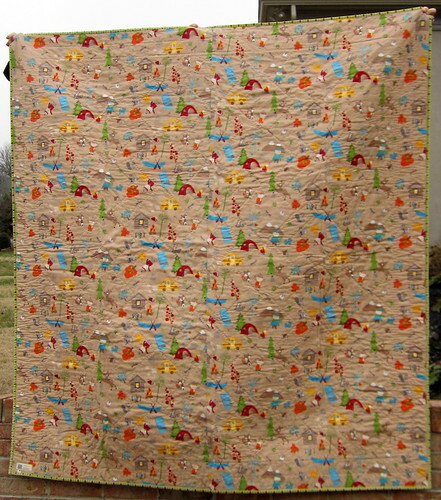 This is the Fox Trails quilt that I worked on off and on for most of 2012. (I don't know what I was thinking -- I forgot to take more close-up photos of this one before it went to its new home.) This project started with the pattern, Geese in the Park by Freckled Whimsy on the Moda Bake Shop website. I liked the simple design of diamonds offset by solid chevrons, and it seemed like a good pattern to highlight a print fabric collection. This pattern and the fabric, Fox Trails by Riley Blake, came together when I found the precut 10-inch squares on sale from Green Fairy Quilts. I bought 2 stacks in order to have enough squares for the top (Riley Blake stacks have fewer squares than Moda layer cakes, fyi) and immediately started making this quilt for my good friend Anne and her family. 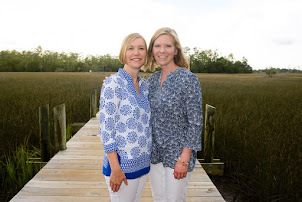 She and her husband and 3 boys love the outdoors and adventures of all sorts, so I knew this camping theme featuring lots of little boys would be the perfect fit for them. This is the back of the quilt. My selections for border, binding, and backing were made for me thanks to some online sales. I eliminated the narrow inner border from the quilt pattern and just put a single, wide border on. I like how the brown border sets off the green and other colors on the front, and it all blends so nicely with the brown background featuring the large camping print -- complete with marshmallows toasting over a campfire. I couldn't decide how to quilt this one on my machine, so I opted for handquilting with perle cotton thread. My first few quilts were all handquilted, but I forgot how long it takes (and how sore my fingers get)! 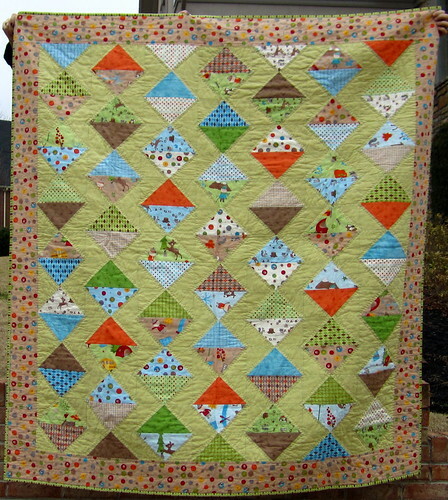 I quilted along the insides of the green chevrons and added 2 rows of straight line quilting in the border to secure it. After washing and drying, the quilt didn't crinkle up as much as it would if I'd used machine quilting, but it still has texture -- and a handmade look and feel. I delivered this quilt in person to Anne over Christmas and her oldest boy took an immediate liking to it, trying to bundle himself up in it while we were attempting to take pictures. He also identified the little campers as himself -- maybe in time he'll decide that some of the campers represent his brothers too.